Jefferson’s Cypress Bayou Model Train Club operates and maintains the model railroad layout for the Jefferson Historical Society and Museum. Since its opening last May, over 2,000 visitors of all ages have enjoyed this fabulous model railroad exhibit which is open daily year round. The late R.D. Moses and his late friend, Jack Luck, spent over 30 years creating and building this fabulous HO scale model railroad layout that depicted the Texas & Pacific Railway in West Texas in the 1950s.This superb model railroad was published in the May 2002 Model Railroader magazine. Even before this publication, the R.D. Moses model railroad was known both locally and nationally as one of the best in the hobby. The second annual Jefferson Train Days event will occur on May 18 and 19, 2013 to commemorate the one year anniversary of the R.D. Moses T & P Model Railroad layout being in its new location in Jefferson. This year’s event will also celebrate the city of Jefferson being designated by the Union Pacific Railroad as a “Train Town USA” and inclusion in the Union Pacific Railroad’s Train Town USA Registry. One Boarding Pass will admit visitors to four activities – a visit to the R.D. Moses T & P Model Railroad layout, a ride on a narrow gauge scenic train, a tour of Jay Gould’s private railroad car and admission to a train show that includes several modular model railroad layouts and vendors. Cost of the Boarding Pass is $15.00 for adults; children 6 and under are free. Boarding Passes may be purchased at two event locations in Jefferson on the days of the event. All proceeds, after expenses, will benefit the Jefferson Historical Society and Museum and the R.D. Moses T & P Model Railroad. 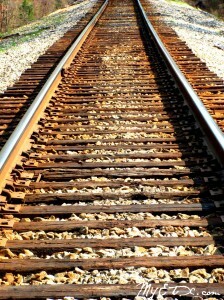 Also go to www.visitjeffersontexas.com for information on lodging and other activities in Jefferson, Texas. 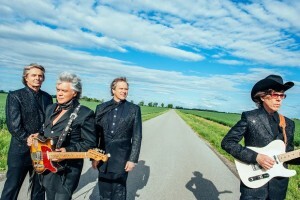 Crockett, Texas—Country-music icon and Grammy winner Marty Stuart will take the stage at the Crockett Civic center on Saturday, March 7th at 7:30PM. Marty and his band the Fabulous Superlatives are on tour and making a stop in Crockett. This show is presented by the Piney Woods Fine Arts Association as part of its Signature Series of events. For tickets or more information go to www.pwfaa.org or call (936) 544-4276.